Getting married is a joyful occasion, and no one ever says, “I do,” thinking that their marriage will end in divorce. Although divorce is painful for all parties involved, it doesn’t have to be an overwhelming, antagonistic process. At The Aikin Family Law Group, our caring Orlando divorce lawyers understand how difficult this time is for you and your family. We make it a priority to help our clients through the collaborative divorce process in Orlando. But we’re not afraid to pursue your interests in court if the situation requires it. 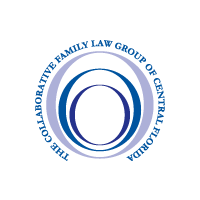 Below, we’ll explain what you need to know about Florida collaborative divorce and divorce law. The collaborative divorce process in Florida encourages a peaceful resolution and dissolution of a marital union. With collaborative divorce, both parties come to a voluntary out of court settlement instead of going through divorce litigation. A collaborative divorce is non-adversarial, and it’s an ideal vehicle for preserving the working relationship between the divorcing parties. 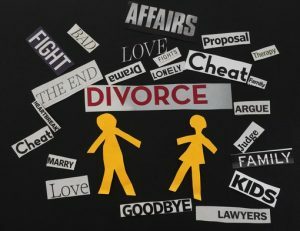 With collaborative divorce, both parties can avoid a lot of the emotional upheaval, turmoil, and financial devastation that often happens during divorce litigation. During the collaborative divorce process, the parties are not fighting against each other’s interest in a courtroom, and the process can start as soon as each party agrees to collaboration and signs a collaborative law participation agreement. 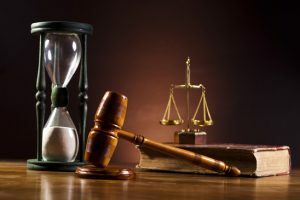 The collaborative divorce process can also significantly shorten the length of time it would take to get divorced if the parties decide to go through litigation. 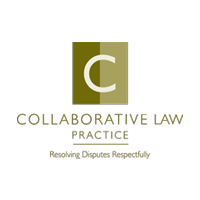 What are the risks and benefits of a collaborative divorce? To start the collaborative divorce process, both parties have to agree to it and sign the participation agreement. It is possible to stop the litigation process and switch course to collaborative divorce. Your Orlando collaborative divorce lawyer can guide you on which action would be most aligned with your needs. Once all of the disputed matters are amicably resolved between the parties, then a written collaborative settlement agreement can be drawn up and signed. At that point, all of the outstanding issues of your divorce are complete and you may proceed to obtaining a final judgment. The divorce can be finalized more quickly. The collaborative process is typically less emotionally stressful. A collaborative divorce is often less expensive than litigation. Both parties usually are able to maintain amicable lines of communication instead of becoming adversarial through the litigation process. An important part of the commitment to the collaborative law process is the withdrawal clause. If one or more of the divorcing parties decides to end the collaborative divorce process, their attorneys will not be qualified to represent them in litigation if the collaborative process has ended without an agreement. This is an important and essential part of any collaborative law case. It ensures that the entire team is committed to the success of the collaborative law process. The Aikin Family Law Group is an Orlando collaborative divorce law firm experienced and committed to handling your litigated divorce, or collaborative divorce if you decide to use that route. What should you ask yourself before deciding if collaborative divorce is the right decision? Your Orlando divorce attorney from The Aikin Family Law Group will do their absolute best to represent your interests. If you are concerned whether collaborative divorce is right for you, it is best to weigh the pros and cons of collaborative divorce, versus what you need to secure your future and the future of any children you may have after you are separated. At The Aikin Family Law Group, we don’t just take your retainer and use it to drag your husband or wife through the mud. We are dedicated to fully and thoroughly preparing your case and exploring less stressful out-of-court options first. 90% of divorces are settled out of court, and the odds are in your favor that this is how things will transpire for you. Resolving your case through mediation. Resolving your case through flat fee divorce. 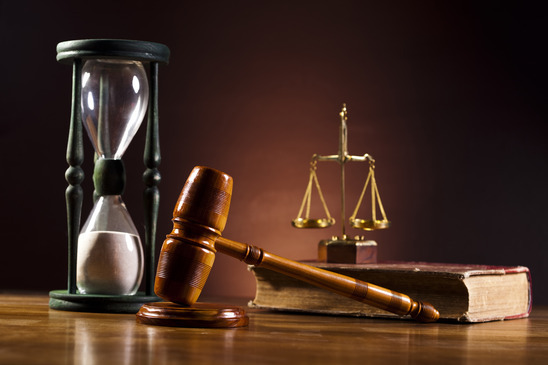 Resolving your case through traditional litigation. Of course, it’s not always easy to predict what the other party in the divorce will do. Emotions can run incredibly high during the divorce process, and your soon-to-be former spouse can decide to take you through litigation regardless of what you want. But at The Aikin Family Law Group, we’re committed to representing your best interests to the full extent of the law if litigation is inevitable. The Aikin Family Law Group is comprised of some of the best divorce attorneys in the Orlando area, and we’re looking forward to working with you and supporting you through this difficult process with our legal expertise and strategic insight. Are you going through a separation from your spouse? We understand how devastating and scary this time can be for you and your family. Please schedule a consultation with us to learn more about your options for divorce. Call us at 407-644 -4040 or contact us online here.